As a parent, there are certain moments that you will never forget: Your child's first step, their first word, and the first shot they made on your home basketball court. As a parent, you watched their determination grow as they took shot after shot, becoming more excited with every swoosh of the net. This is how practice turns into passion. We know because we've been there. We get it. That's how our family started in the game. The Most Trusted Name in Local Athletic Flooring. 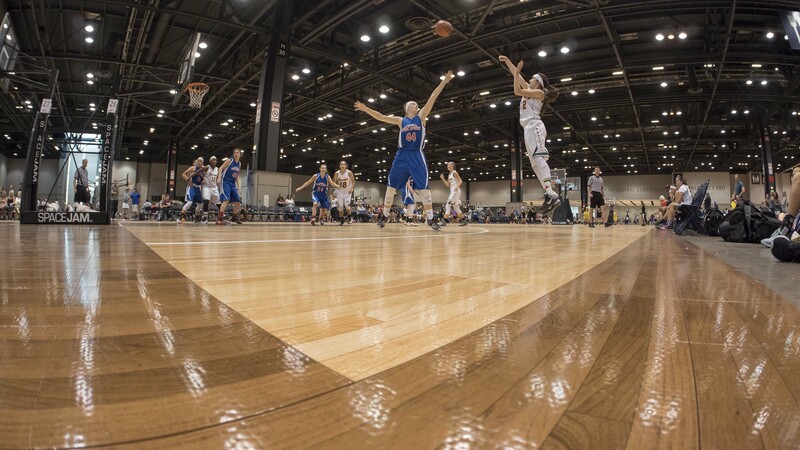 Sport Court Michigan has been discovering the potential within champions everywhere for several decades now. Not only do we work with families throughout the West to design and build quality championship courts, we actively engage with local facilities in these areas, as well. Our CourtBuilders™ (located in Paw Paw), have been helping families design, build and install courts across Michigan for over 30 years. We deliver the dream court for Michigan families and communities through good old fashioned hard work, sweat and expert skill. 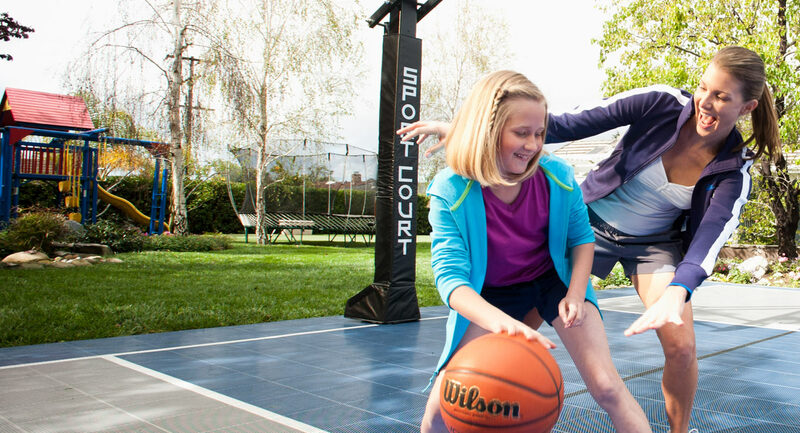 As the sole CourtBuilder for Sport Court® athletic flooring and components, our mission will always remain the same: to ensure that we live up to our name by building your new court with quality products and unparalleled, expert installation. What's the real value of your home court? It’s not only about exercise; a home court brings together friends, family and neighbors to create the type of all-star memories that last forever. 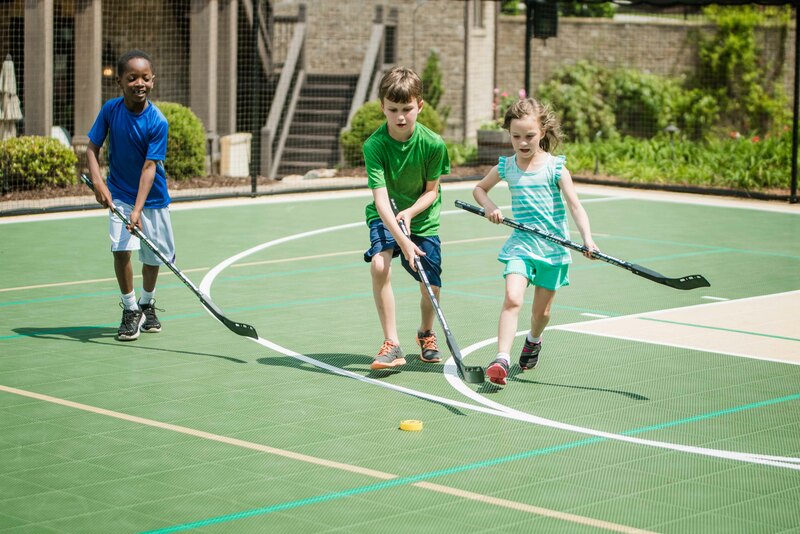 We know that every family enjoys different sports, which is why we've made it possible for you to play 15 different sports on a game court from Sport Court Michigan. Let the memories begin! Game Changer for your facility. At Sport Court Michigan, our primary goal involves an unwavering dedication to quality customer service and exceptional, expert courtbuilding every single time. You deserve to have the type of court that makes it possible for new teams to form and friendships to strengthen. We want you to have a place where champions aren't just discovered, but are born. "Just wanted to say “Thank you” for the awesome court! We love the end-result and couldn’t be happier! Revcieved many compliments from family and neighbors. Thanks for all you did"
"Thanks again for the services provided. The court looks great and will get many years of service. You have a great crew, which is a reflection of their boss." 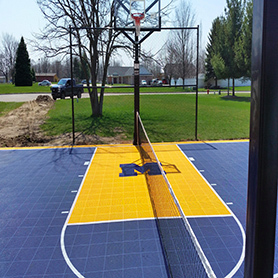 Explore Sport Court Michigan to find out more about the products we offer and the quality, performance, and safety they provide. Be a Part of the Team Effort. Teamwork can be about many things, but ultimately, it's about partnership. Sport Court Michigan is passionate about building connections and teaching teamwork, whether it's for up-and-coming champions of the next generation or for already-existing professionals. There's no "I" in team; great teamwork requires the help of community organizations to bring the benefits of sports to life within a community. 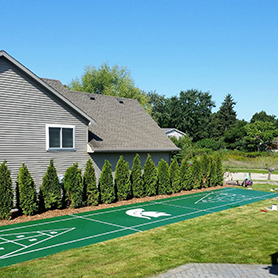 Sport Court Michigan can proudly say that we're the official court of some of Michigan’s greatest sports teams. But we know that it's not just about the court; it's about the type of teamwork that happens on the court. Visit your local Sport Court Site by clicking the part of the state you live in. © Sport Court Michigan. All Rights Reserved.